← I’m working on my animation career. 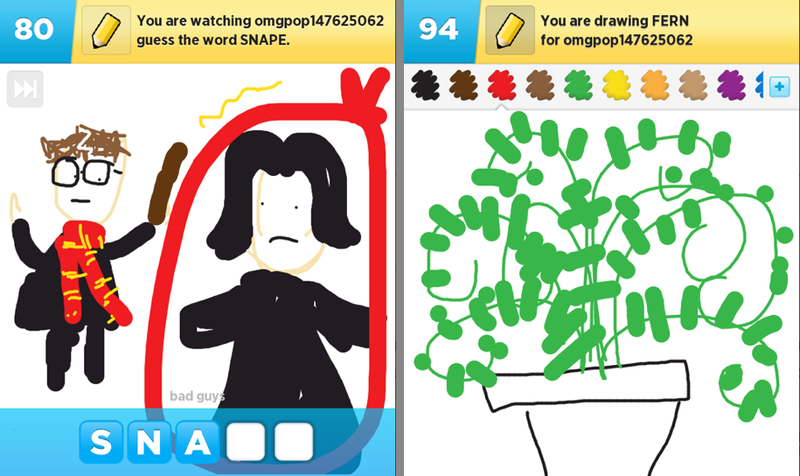 Soooooo, I am really really late to the game, but I just started playing DrawSomething. When it was popular, I refused to play it, because it seemed time-consuming and like I might get addicted to it. I’m not big on video games or apps or stuff like that, because I think people end up with their eyeballs constantly glued to their phones or computers or whatever. But for reasons I won’t discuss yet (or ever… we’ll see what happens! ), I started playing a few weeks ago for research. I was immediately frustrated because I have terrible finger-control, and I couldn’t let go how of HOW AWFUL my drawings were! But then Manda agreed to play around on it with me, and it became fun. It’s actually a nice way to relax my brain for like 3 minutes and then go back to my business. When I was in college, I kept a sketch journal. I always made myself sketch something for only 5 minutes, once a day. 5 minutes, only. But every day. I preferred to use pencil and crayon (sounds classy, right?). I’m so not an artist, but at that point, I really liked making myself use my brain differently for a little bit. I’ll scan some images from the journal when I remember to! 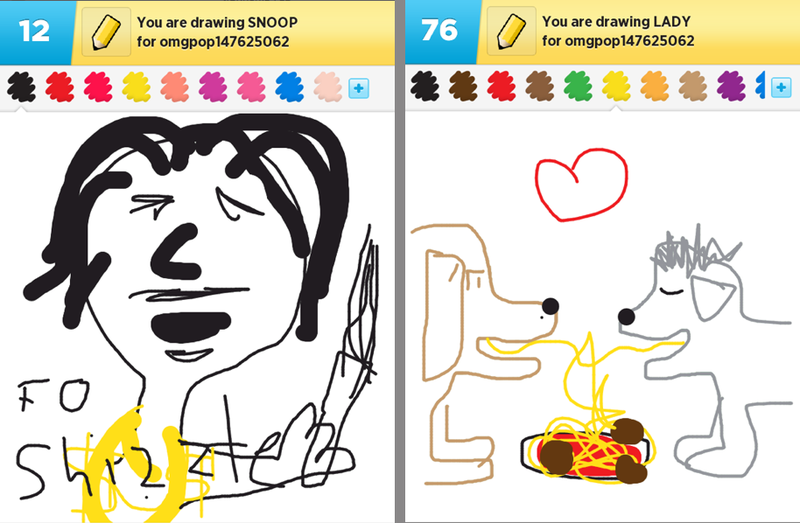 I have forgotten to save some of my most excellent DrawSomething work (sarcasm! ), but here is a small sample of what I happened to catch. 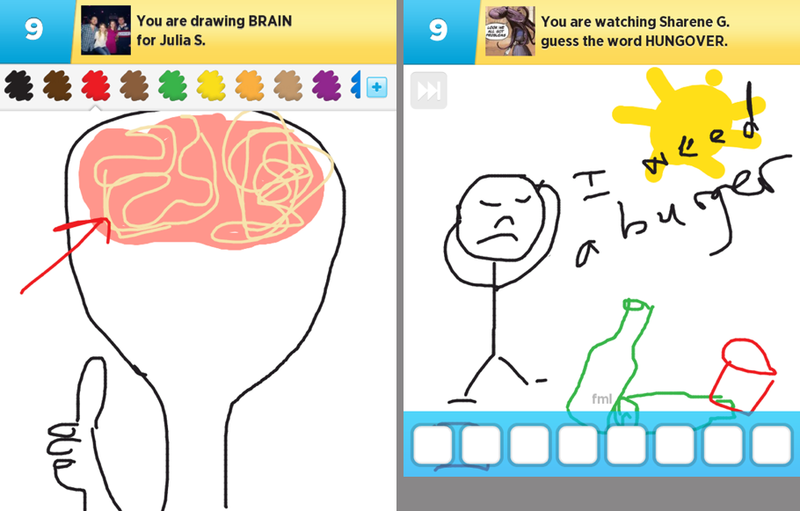 This random person I play with, “Julia S.,” is actually pretty good. I messaged her once and was like, “Your finger control is amazing. Do you use a stylus?” and she responded, “Nope, just my finger!” And then we never messaged again, and just kept playing. I feel creepy now. I gave up on this game so fast last year. 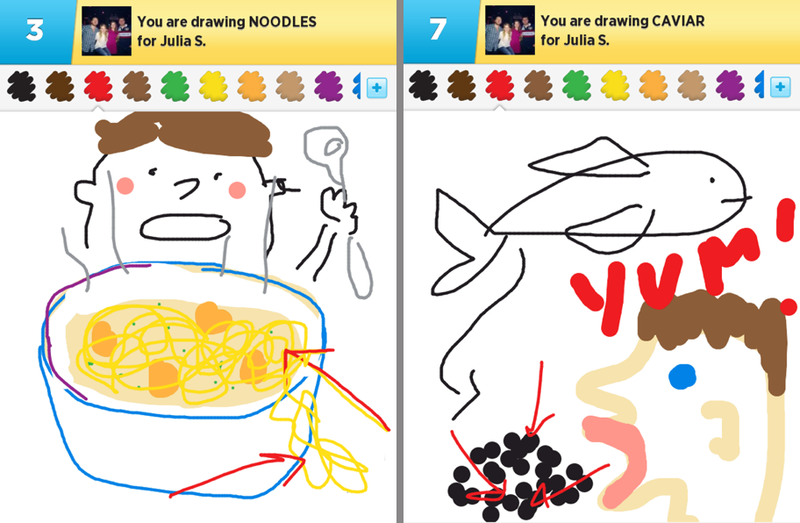 Everyone kept making fun of my drawings that i thought made tons of sense! !